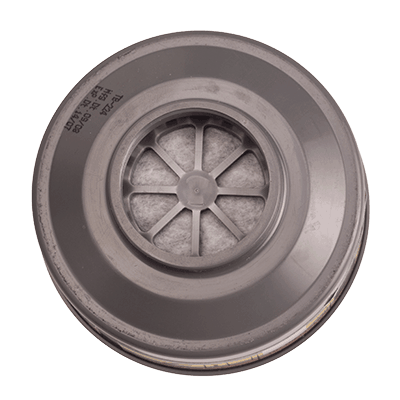 This anti-gas and anti-particles filter protects from organic and inorganic acid gases and vapours, sulphur dioxide, ammonia and its derivatives. Classified as a class 1 filter for gases and class 3 for particles, it can be used to protect against harmful substances, solvents, toxic particles and micro-organisms. Equipped with special thread for pair use only, it can be used on P410 Half Mask only.